Glowaski recognizes the wealth of information, mistakes to learn from, as well as solid production advances that the younger generation has to offer and wishes they would be shared more readily with other new farmers. “We all make mistakes…having a shared understanding is valuable.” That being said, Glowaski also highly recommends tapping into the knowledge of “old-timers” because although many of us have agriculture in our history somewhere, it may have skipped a generation and we cannot afford to make the same mistakes. In addition to farmers, your neighbors may be part of your team. Many “in the prime of their life” Glowaski said, who want to help young people who desire to do something great, like start a new farm. 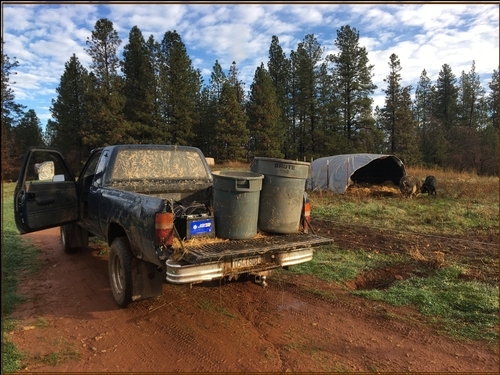 Take a moment to think of all the mechanics, gardeners, truck drivers, cooks, teachers, neighbors, and even wealthy retired folks who can be valuable resources to a young farmer, especially in the area of community and moral support. Community is essential, especially on those days when things seem to go wrong all at once. “Sometimes you have to dig deep” especially when it comes to an operation that you financially will need to depend on. The challenges of starting a farm in the foothills must not be underestimated. Planning is extremely important, “We met for three years before starting the farm - we called it the dream farm,” Glowaski said of Dinner Bell. He credited that crucial time of planning as a large part of why they still exist as a viable farm today. Farming is extremely dynamic, the farmer must remain adaptable and humble in the process that forges out a farm. “We aren't doing anything we started with,” Glowaski stated as he reflected on the changing markets and the succession of products Dinner Bell Farm has produced over the years. 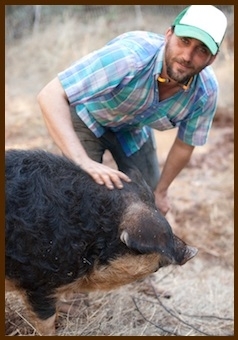 He identifies with Dan Macon's “Small Farm Evolution in Five Easy Steps.” More candidly, farming is humbling. Glowaski expressed three values held by Dinner Bell, which are important to consider for all new farmers; ecological sustainability, economic viability, and social sustainability. Can a farm buying at retail prices, selling at wholesale prices expect to make a profit? If a farm is socially accepted and ecologically responsible but not economically viable, it will not survive. Look for more posts about beginning farming coming soon! Letters to a Young Farmer - by Stone Barns Center for Food and Agriculture(Compiler), Martha Hodgkins(Editor). Click here to find it on Amazon.